Together with a friend of mine we decided to organise a Mexican night with a few of our friends. Now we know very little about Mexican food, so luckily we have real Mexican friends so at least a part of our menu was authentic Mexican. It was our job to come up with desserts, so off we go to our friend Google to help us find some recipes. 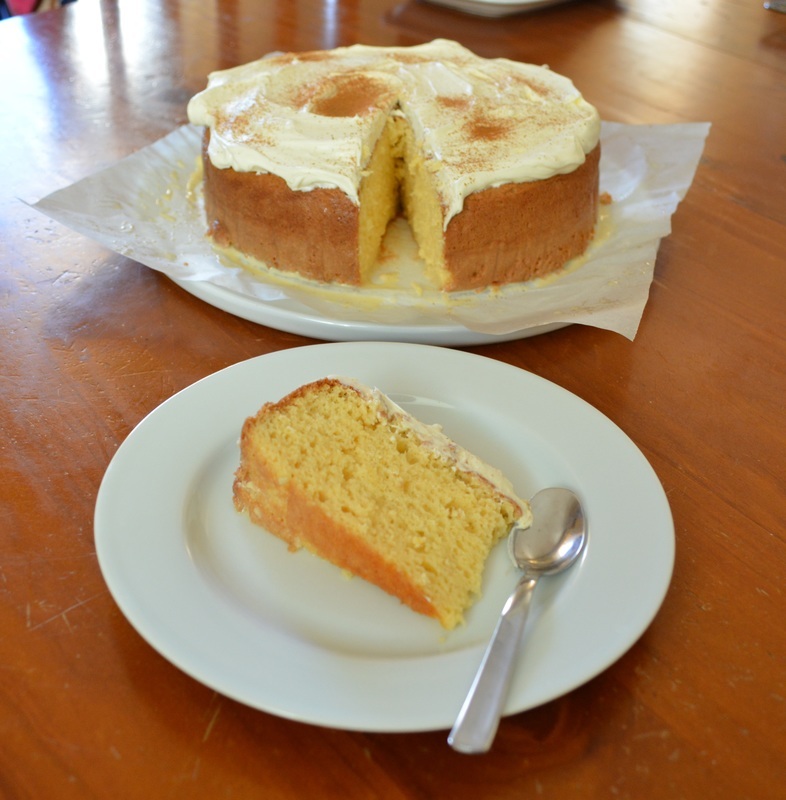 Now I had heard of a tres leches cake before (torta de les treches, to name it properly), but had never tried it. So after reading a few recipes I decided to go with this one. Tres Leches Cake translates to Three Milks Cake. It is a super moist cake as after you bake the cake you soak it with a combination of three milks. It is slightly sweeter than the normal cakes I make, but it does taste rather nice. The consistency of the cake is important as if you get it wrong you will end up with a soppy mess. I have made this twice now and both times it worked out perfectly. If by chance your sponge shrinks a little (it needed slightly more baking), do not despair, as once soaked and covered in the cream, it tastes perfect anyway. I love the addition of cinnamon on the top, it adds such a nice flavour to it. So make sure you add it. Now with regards to presentation, I generally don't need super fancy plating, I am happy to soak it in a springform tin, then just remove the sides when needed and serve on the tin base. 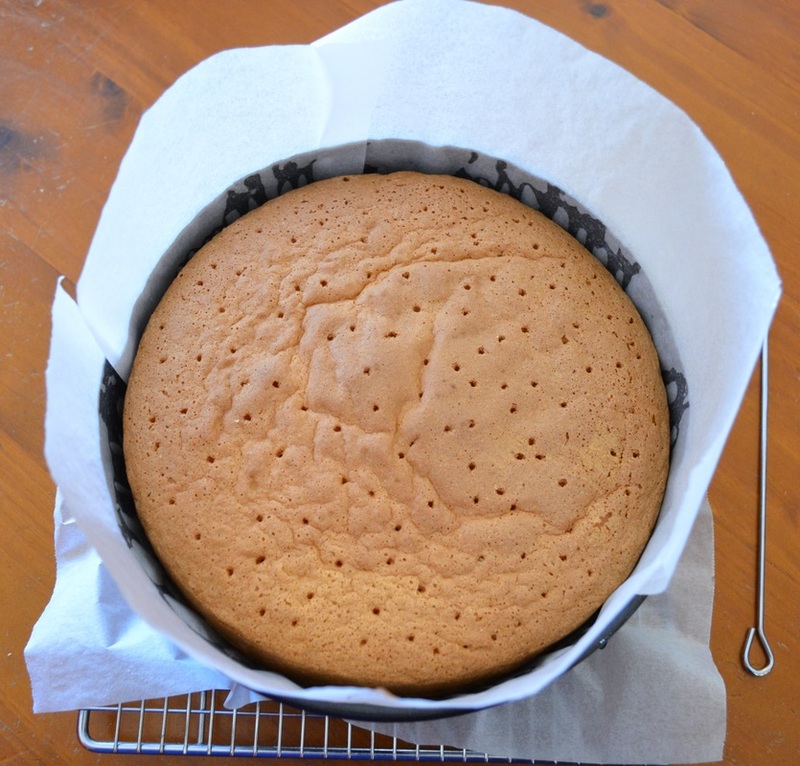 But if you prefer to make it look fancier, you will need to place the cake on a rimmed plate (so the milks don't run over the edge) before you soak it, as I don't think it is possible to move this cake once soaked. So if you, like me need a Mexican themed dessert, give this a go, as it really is simple and delicious. Preheat oven to 175C. Grease and line with baking paper the base and sides of a 23cm round springform tin. In a large bowl add the egg whites (I use a hand held beater for this part). Beat until soft peaks then slowly add in 1/4 of a cup of the sugar, keep beating until stiff peaks form. Set aside, until needed. In a large bowl of a freestanding mixer (you can clean the hand held beaters and use a hand held beater), add the egg yolks and the remaining 3/4 cup of the sugar. Beat on a high speed until pale in colour and it has doubled in volume. With the beaters on a medium speed, slowly drizzle in the milk in a thin stream. Turn off the mixer, add the vanilla extract, flour and baking powder, With the mixer on low speed, mix until just combined. Gently fold in 1/3 of the egg whites into the egg yolk batter. This helps loosen the mix. Then add the remaining egg whites and gently fold it into the mix. Pour the mixture into your prepared baking tin. Bake in the centre of your oven for 45-50 minutes. The cake will spring back once cooked when you touch it, a skewer will come out clean and it will have a slight gap around the edge of the cake from the tin. Now if presentation doesn't matter, I know that sounds wrong, but I don't mind a cake served on baking paper. It adds a rustic charm. Allow the cake to cool for 15 minutes, then using a skewer poke loads and loads of holes into the top of the cake, all the way to the bottom. 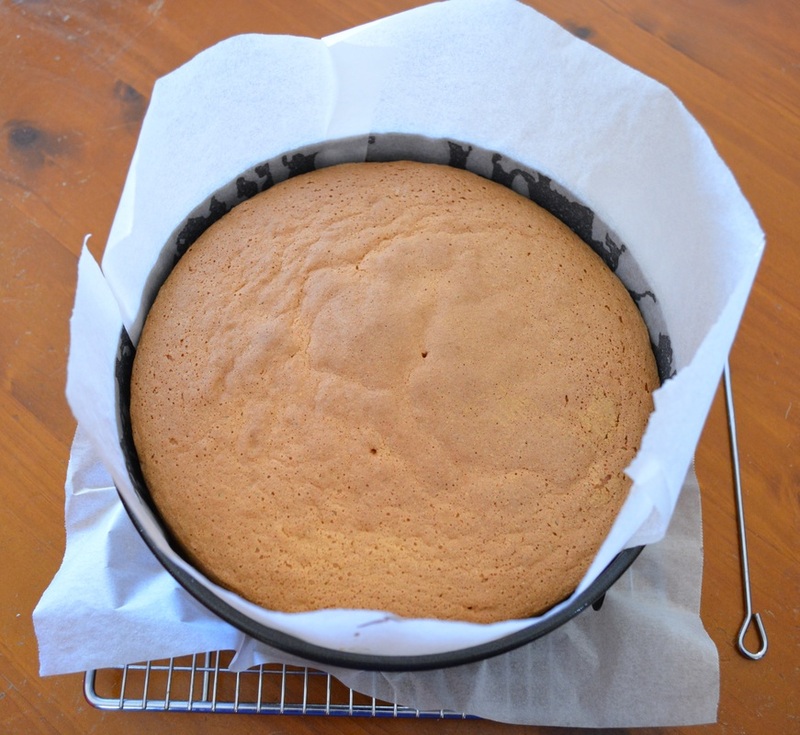 If you want to present it on a platter, once the cake is baked, remove the sides of the springform tin, remove the baking paper and invert onto a wire rack. Flip the cake over, so it cools the right side up. Allow it to cool for 15 minutes. Once cooled place the cake on a large rimmed plate, and poke holes all over the top of the cake as mentioned above. Make the tres leches mixture: Add the evaporated, condensed and whole milk in a large measuring jug with a spout and whisk gently to combine. 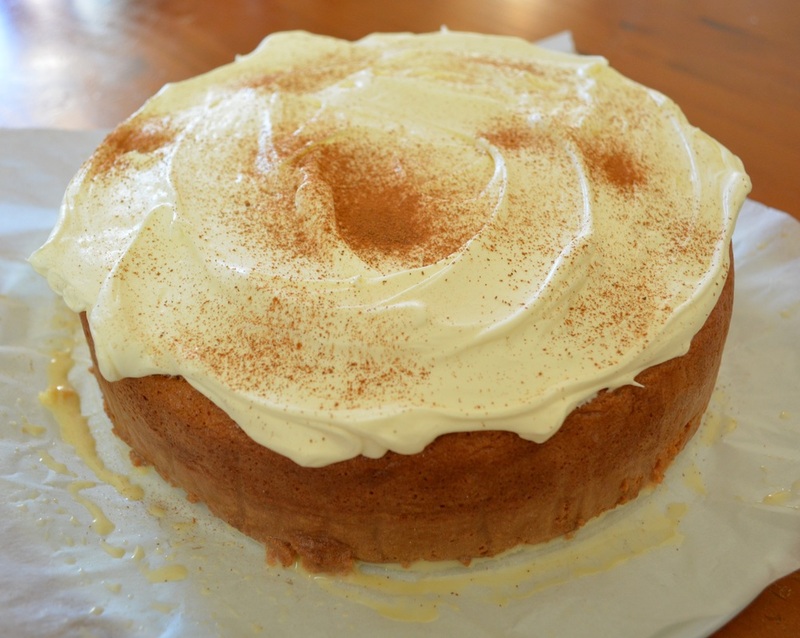 Now slowly drizzle on the tres leches mixture onto the cake, in small burst preferably, allowing it to soak into the cake with each addition, rather than just run off the sides. Keeping pouring it all over the cake, until it has all been soaked up, some of it will go over the sides, and that is okay. Refrigerate uncovered for 1 hour. In a small mixing bowl add the cream and icing sugar, beat until thickened and spreadable. Do not overbeat. Spread over the top of the cake. Using a sieve, for even distribution, sprinkle on the ground cinnamon.